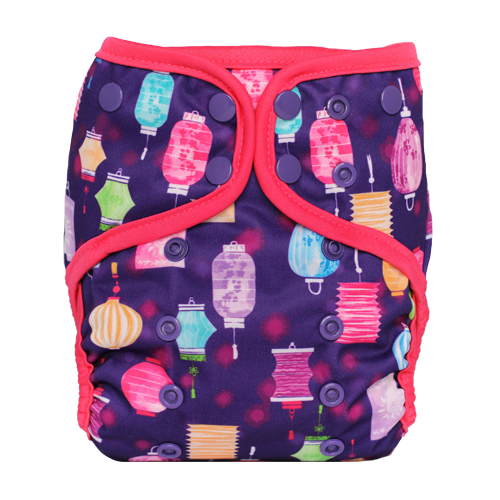 Lalabye Baby Diaper Covers are made from the same material as Lalabye Baby's One Size Diapers: lightweight and water-resistant fabric (TPU) with a laminated interior that can be easily wiped clean/dry and re-used immediately. 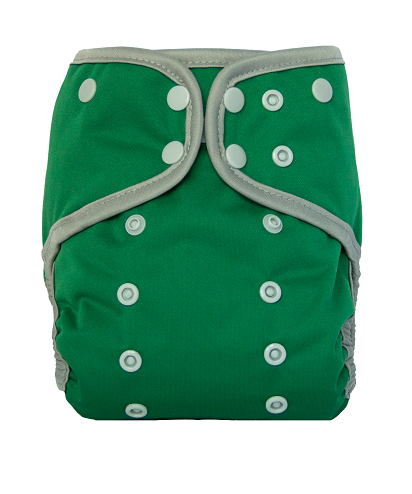 The softly bound leg and back elastics on this cover are gentle and great for babies with sensitive skin, they set the look of these Covers apart from their One-Size Diapers. 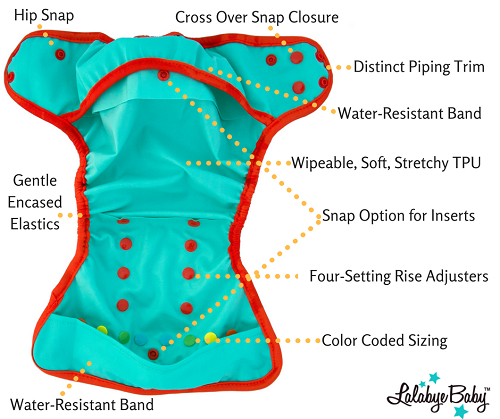 The Lalabye Cover is adjustable to fit your baby or toddler ranging from 8-35 lbs and is a water-resistant shell that can be used for any time of day and for several activities such as sleeping, swimming, or even potty training! 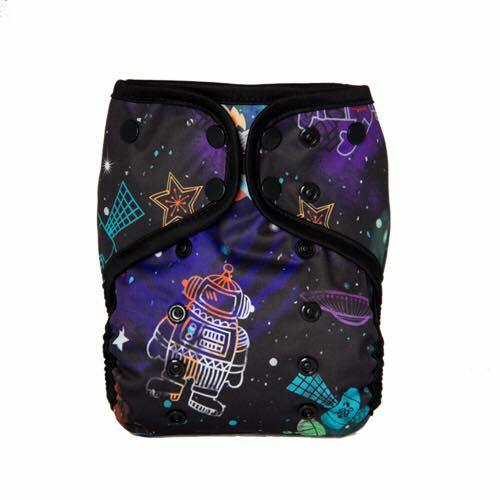 Whether you're already a Lalabye Baby fan or new to the brand, every cloth diaper stash deserves at least one of these great fitting and stylish covers. 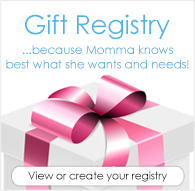 I primarily used Lalabye Baby OS (superb fit! ), but I LOVE the ease of a cover with a padfolded flat or prefold, so I was thrilled when Lalabye Baby started making covers. 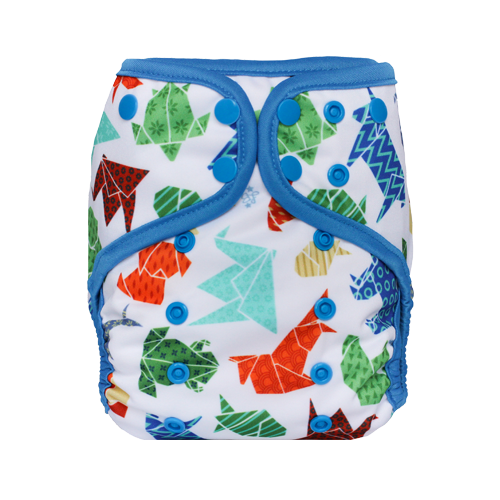 The fit is amazing, I imagine they can snap down to fit a NB easily because the OS truly fits a NB, they wash up easily, dry quickly and I actually love that they only have a single gusset. I find myself using these covers with DR bamboo flats most of the time now. 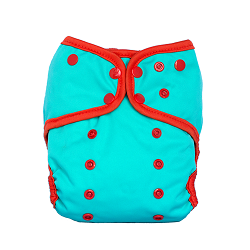 I am loving this diaper cover. It fits my son great and we have no issues. I love the flaps in the front and back, it makes it easier for the insert to stay in place. I also like that you can use the LalaBye snap in inserts with this as well. I wish there were more prints! I love these covers so much! They are simply the best covers I have ever used. 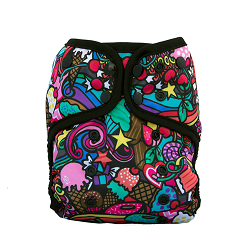 They have the snap in inserts, which BEST BOTTOM inserts work in and are amazing together. 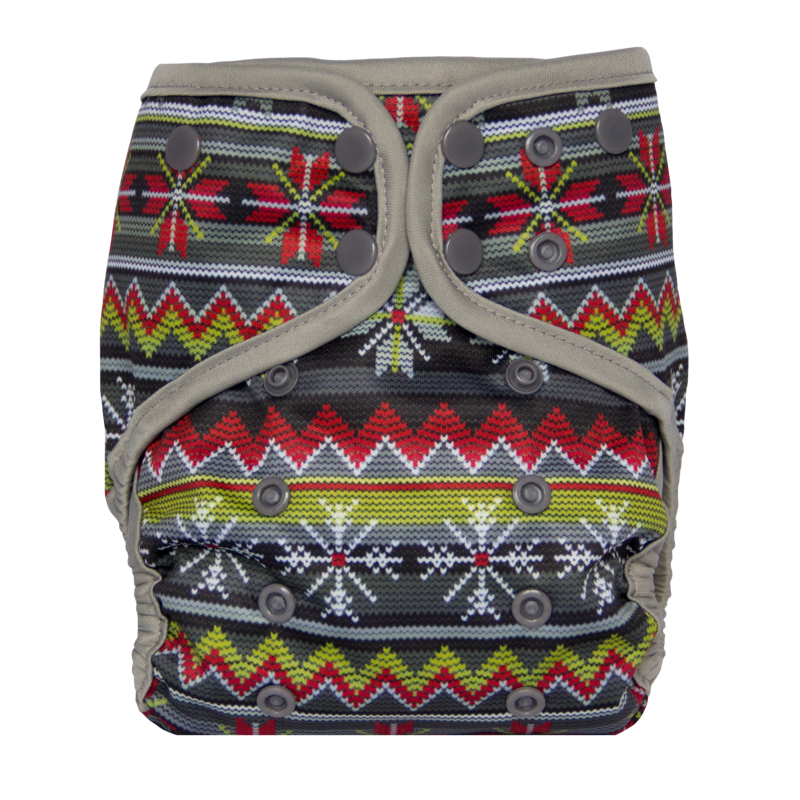 They also have the extra material that flips down over the inside on the front and back (like flips) to help prevent leaks. The only downfall is they only have like 5 prints and none of them are very cute right now, but sometimes they do special editions like Whimsy that are ADORABLE!